In Strandja there are deposits of gold for more than 50 billion leva, confident expert before ... They are located along the valleys of the rivers Veleka, Rezovska, Mechi Dol, Katun and Karaagach. In recent months, there has been a very serious amateur interest in extracting nuggets of gold. Along with the search for treasures from the times of the Roman Empire and Ancient Thrace, there are already professional gold miners who sifted the river sand. There are also people with special equipment and equipment to detect such ore as well as diamond deposits. The peak in the year was in September, when dozens of professional metal-seekers gathered at a fair in Strandja. A special association of gold miners has also been established. According to her members, Strandzha is one of the richest in precious metals, and the Veleka River has very rich golden strands. 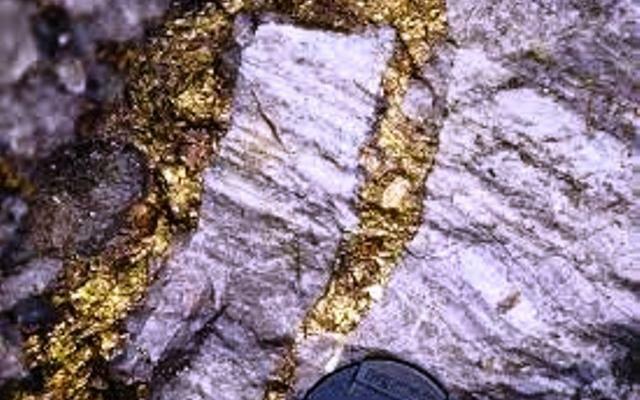 There are huge amounts of gold in the bowels of the mountain that have been divided into several strings, experts say. Some of them continue on Turkish territory, others reach the foothills of the Sakar Mountains. According to the professional prospect, Strandzha remains one of the undeveloped gold mining sites, although the precious metal has been harvested since ancient times. This information is also determined from a historical point of view. During the time of Ancient Rome the mountain was excavated in dozens of mines where gold was produced. "Here was one of the great gold mines of the Empire," commented one of the Strandja killers Velko Velkov, who is a popular performer of folk songs. "I can say that the whole mountain is excavated by deep tunnels. There is a lot of gold in the land under Strandja. The deposits are in depth and require more preparation. But along the rivers, there are also habitats. The area was extremely important for the Roman nobility and aristocracy. With the gold castings of this mountain, there have been cuts entire Roman coins. The very quality of the metal is also very high and reaches 22 carats. At the time of the Turks, gold also came here.